The following post has been sponsored by Capital One, but all thoughts & experiences are my own. In fact, the great thing is that I’ve been a very happy customer of Capital One for years – with my business account (the account/card mentioned in the video below)! As most of you already know, I’m no stranger to expensive car repairs. Keep in mind that anything over about $150 is expensive in my mind (one of the consequences of being broke and in debt). Well, we had to spend another $600 recently – this time on our SUV. Since we are trying to use every extra penny to pay off our debt and also build up an emergency savings account, we were putting off the repairs until they were absolutely necessary. We had to get the air temperature door actuator replaced on our Ford Explorer – apparently, this is a common problem. We were originally told that it would cost about $750; mainly due to the labor involved – the center console and part of the dashboard had to be removed. Going through the winter without any heat is difficult in New Jersey, so once the temperature dropped down to the low 20s consistently (hitting the teens on a couple of days), we knew we couldn’t put it off any longer. We have a credit card that is dedicated for car repairs. If our repair bill is over $299, then we have 6 months to pay off the balance before any interest is charged. So, in this case, our credit card has saved us from prematurely depleting our emergency fund or taking from our monthly budget, while allowing us to put heat in our vehicle! We definitely plan to pay off the credit card before the 6 months are up – something that we have done each time we’ve used it – so we aren’t expecting to pay any interest for this loan. If we aren’t able to save enough in the 6 months by reducing our expenses (not likely since we don’t have many variable expenses), then we will still be in a better position to take money from our savings. If we weren’t in debt, we would probably use credit cards for everything. We already use it for any online purchase (for security) or any other payment where we aren’t completely comfortable (like some gas stations, restaurants, etc.). Between the added security, the rewards, and the possible cash back, I am a big fan of credit cards. Now obviously, this love only goes as far as the benefit gained combined with the responsibility of the user. To be fair, this can be said about most good things. Too much or a misuse of a good thing can easily make it detrimental. Someone once said that a credit card is like fire…useful, but handle with care. 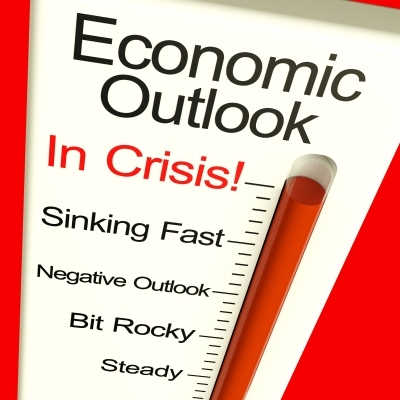 Are You Preparing for the Next Recession? This is a bit of a depressing topic, isn’t it? After all, we’re in the middle of summer and it’s just about the peak of the high vacation season, right? Why try to throw cold water on everyone’s good times? I’m a mean person who’s trying to rain on everyone else’s summer fun. I’m not sure that we ever really got out of the last recession, or if the last one wasn’t just an uglier continuation of the one before that, but the reality is that we have a downturn every few years. Since the last one officially ended sometime during 2009, 2013 seems like a good guess on the arrival of the next one. That gives us about a year to prepare, and that’s Reason #4 why I’m writing about this topic. In the strange way that life works when we’re prepared for trouble, it never seems to happen! So how do we prepare for the next recession? Major purchases do two things that hurt us when the economy turns bad: 1) they drain savings, and/or 2) they put us in debt. I’m talking about cars, houses, furniture, boats—anything that has the potential to cost a couple thousand dollars or more. Do I actually need this item, or do I mostly just want it? Were I to lose my job six months from now, will I regret having made this purchase? Even if it’s something we truly need, do we have the ability to buy it without draining our savings or adding more debt? Would a decent second-hand model get the job done? Major purchases can’t be easily undone—especially in recessions. For most of us, the biggest threat from recessions is the loss of a job. One of the best ways to deal with this (in advance) is by creating income sources outside your job. It’s not just a matter of adding more income, but also of exploring and developing other career directions. This is especially important if the business or industry you’re in is already wobbling. Working outside your job will give you the experience and business contacts and references that might enable you to transform a side job to your next full time position. Get your foot in the door before the economy takes another slide. Another option is to start a side business. You can start it and grow it while you’re still on your employer’s payroll, but if you lose your job you can ratchet the business up to full time. The last thing you ever want to do is to create financial obligations during good times that you’ll have to pay for during not-to-good times. This is what drives foreclosures and car repossessions. If you want to avoid that fate, don’t add any new debt. And while you’re at it, start working on paying off old debt. Debt is a big enough pain during good times, but its pure excess baggage you don’t need to be lugging around during the bad ones. If you lose your job, you can always cut expenses quickly, but debt takes time. You have that time right now. At a minimum, a fattened bank account can give you breathing room to deal with a sudden job loss or other financial calamity. 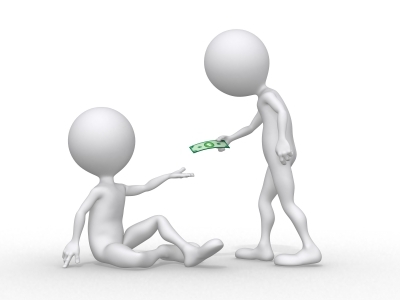 It enables you to face problems without having to borrow from banks, or beg from family. Start working on increasing your savings now. Remember those major purchases I recommended that you not make? You can add to your bank balance with the money that you didn’t spend on them. And the extra income from your side job or side business can go right in the bank too. A year from now you could have a few months living expenses sitting in the bank, and that’ll feel good. This reads like my most ridiculous preparation, but actually it isn’t. In fact, it’s far from it. Exercising, dieting and improving your overall physical condition are always important, but never more than when hard times hit. If you’ll be in the job hunt sometime next year, you’ll be glad lost a few pounds and toned up a bit. When jobs are hard to get, they often go to those who look the most capable of doing them. In the event you have to juggle two or three income sources, you’ll need the increased stamina getting in shape can bring. The healthier you are, the less you’ll need to spend on healthcare, and the less time you’ll lose from work. Concentrating on your health could be the significant distraction you need that will boost your mental and emotional state at a time when finances are getting difficult. A recession will come whether or not you’re prepared. But if you are prepared, there’s a good chance it won’t be your recession! And if it doesn’t come, you’ll be better prepared for what ever else you want to do in your life. Like that run for financial independence you may have been putting off for a few years. Most of us will face some type of financial emergency at some point in our lives. Because of this fact, it is not our ability to avoid such emergencies that leads to financial success, but it is often our ability to recover from them that matters. Even though we don’t know when, where, or how an emergency will come, there are some practical things that we can do in order to help us withstand them. Having a financial contingency plan is always important, even more so, now that the economy is more unstable than ever, it is a necessity for every household! Trying to keep your finances organized when trouble strikes is part of the key to surviving and thriving in these situations. I think this is the first and easiest step in preparing for financial hardship. Before the disaster even comes, you can evaluate your expenses and determine which ones you could easily cut if necessary. Think about it: Do you really need to have 500 cable channels? A data plan for you, your spouse, and all the kids? A car for every adult in the home? A two-week long vacation every summer; and another one for your anniversary? I’m sure we can go on and on about what unnecessary expenses you can cut, and everyone’s list would be different; but the main point is that you have to think of these things before the emergency hits. Discuss this with all the members of your household now and see what current expenses you all could do without. Thinking through these things in advance will be much easier, since financial hardships have a tendency to stir up strong emotions and make it hard to concentrate on the task at hand. Avoid the stress, the arguments, and the finger-pointing by making the tough decisions now, before the emergency strikes! What Items Can You Sell? While you’re talking to your family about what expenses you can cut out of your budget during a financial crisis, you should also make a list of the things you can sell. A good financial contingency plan will take into account how much money can be gained from selling certain items. Again, it will be much easier to make this plan now, rather than when you are all under the stress of a financial hardship! Decide what items you can do without, and do some research to see how much you could possibly get for them. Knowing that you can get $7,000 for you 2nd car may be all that you need to survive a financial emergency. Even if you don’t have a spare car, you can look for other items that you can sell during tough times. For instance, do you have a fancy lawnmower? Sell the fancy one, and buy a simple, used mower. This may not be ideal, but neither is being in the middle of a financial disaster with a fancy lawnmower, yet not enough money to make another mortgage payment! If the emergency lasts long enough, or the financial disaster is large enough, consider selling your home and renting. Of course this only works if your house can sell for more than you owe (not the case for many who purchased within the last 5 years)! Look at everything that you own, and decide what you can sell now. This is another tough decision that should be made before the emergency comes. This is probably the most common way that we prepare for financial emergencies (it’s actually in the name ;-)). It is easy to set up an automatic transfer or direct deposit to your savings account, and let the fund build up to whatever your goal is. Having money set aside will be extremely important if you were to lose your job, or face some other financial difficulty. In our case, once we are out of debt, we will aim to have between 9 months and a year of living expenses in a high-yield savings account. But for now, our goal is to be able to cover at least two months. Many people have gone deep into debt (I’m one of them) because they did not have significant savings to carry them through a difficult time. The purpose of an emergency fund is to remove the stress, fear, and even the need to borrow, when financial hardship comes. 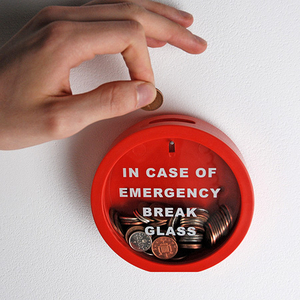 Every good financial contingency plan should involve a large emergency fund! Next to having an emergency fund set up, this is probably the most important step you can take in preparing for a financial emergency. 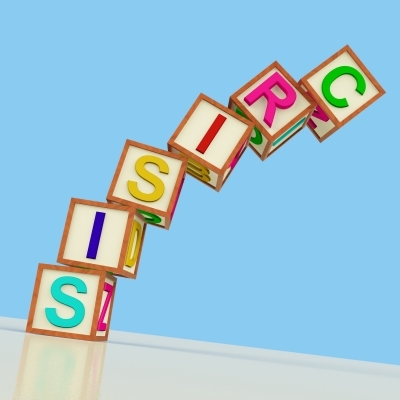 It is much easier to adjust your living expenses than it is to rearrange your debt payments. So when you are in a position where you need to free up a large amount of committed money, you won’t have over $500 in student loan repayments (I’m telling on myself again) to worry about! Being at the mercy of credit card companies, banks, and other loan servicing agencies, will only add to your stress and may cause you to make bad decisions during an emergency.